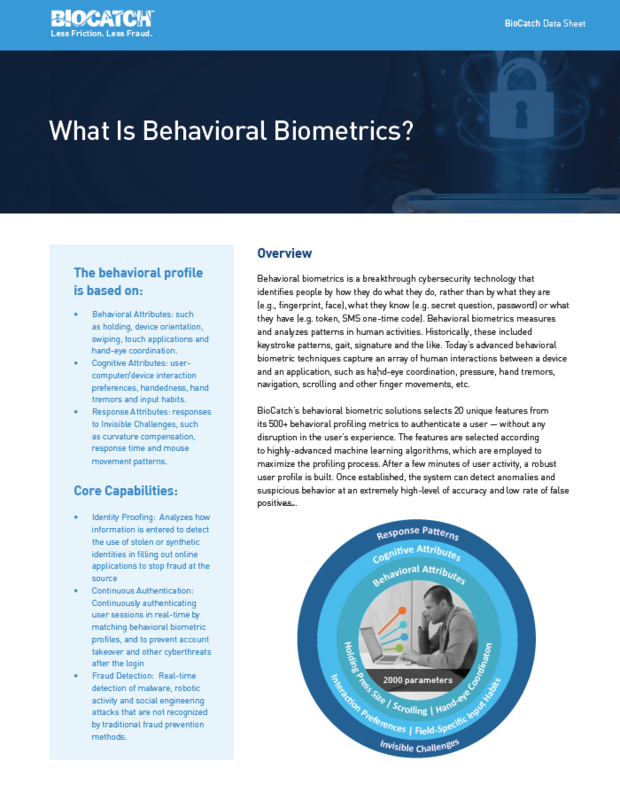 BioCatch’s behavioral biometric solutions selects 20 unique features from its 2,000 behavioral profiling metrics to authenticate a user — without any disruption in the user’s experience. The features are selected according to highly-advanced machine learning algorithms, which are employed to maximize the profiling process. After a few minutes of user activity, a robust user profile is built. Once established, the system can detect anomalies and suspicious behavior at an extremely high-level of accuracy and low rate of false positives.